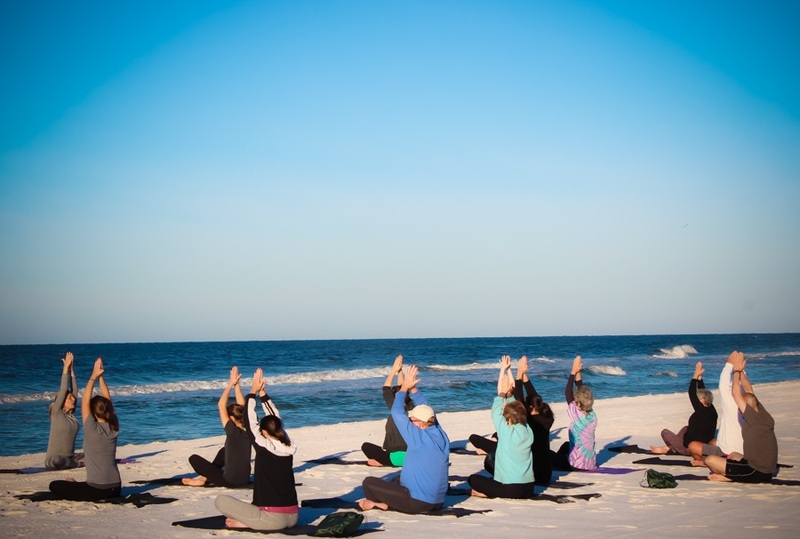 Wellness was a big topic at the TMS Family Travel Conference, Miramar Beach, Florida. The 4th annual TMS Family Travel Summit reveals how the largest leisure travel segment likes to dream, plan, go and selfie their family vacations. (New York, NY, April 28, 2016) Millennial families are more diverse, likely to travel farther, seek out new destinations and spend more than their peers without children, attendees learned at the fourth TMS Family Travel Summit. The Summit, the industry’s only social good conference designed to improve travel products for families, was held in South Walton, Florida April 17-19, 2016. Forty of the top national travel media and marketers heard how 84 million Millennials – now between ages 18 and 36, half with children — are reshaping the highly lucrative family travel landscape, whether they are driving an RV, sharing a local’s apartment, or taking an exotic adventure trip. Given opportunities to discuss and debate the research presented, the largely C-suite gathering expressed many “ah-ha” moments relating to their Millennial co-workers and their own children. The 4th annual TMS Family Travel Summit was hosted by Kyle McCarthy, editor of Family Travel Forum; Eileen Ogintz of Taking the Kids; and Joanne Vero, producer of Travel Media Showcase at the Hilton Sandestin Beach Golf Resort & Spa. Among many insights were the following key takeaways. The Millennial Family Travel market — more ethnically diverse than any other generation — is far larger than many think, accounting for 31 percent of all U.S. travel with children, reported Jeffrey Eslinger of D.K. Shifflet and Associates, who added Millennial families are less likely to be married, and more likely to take short 1 to 3-day getaways, than other family groups. Millennial family travelers with annual household incomes above $50,000 spend more ($5,749 per year) and travel more (average of 5.4 trips) than most in the industry assume, said Steve Cohen, who offered a sneak peak of the 2016 “MMGY Global Portrait of the American Travelers.” According to the new research, 64 percent of Millennial families took at least one international vacation in the past year. The “me” aspects of the Millennial profile are no different than those ascribed to Boomers and GenX travelers when they were in their youth, said Ed Tapan, Head of Industry, Travel, at Google. “You just have to tweak the message and deliver it in their language,” he added, citing examples of room service menus written in emojis and loyalty reward offerings that varied from hangover cures to exclusive concerts. They also are more apt to combine business and leisure travel— coining a new market for “bleisure” travel. Since Millennials will comprise 50 percent of all business travelers by the year 2020 noted Andrew Nelson, editor at large National Geographic Traveler, hotels must accommodate them with facilities they prefer including social lobby spaces where they can connect with other travelers. Millennial families want to experience something new when they travel. With more than 64 percent of Millennial parents reading user reviews online, and 60 percent feeling obliged to post their own reviews, personal recommendations from friends, family and others drive travel decisions (MMGY Global POAT 2016). Meeting new people (67 percent) ranks much higher as a motivator than other generations, underscoring the personal focus that will certainly be passed on to their own children. Millennial families want personal service, attention and expert advice from informed sources. The travel industry must be prepared to communicate with them in new ways, via Facebook and blog comments, said Todd Smith, CEO of AdventureSmith Expeditions, whose best-selling cruise for Millennials is to Antarctica. Millennial families are returning to expert travel advice in print — magazines and guidebooks — agreed Pauline Frommer, editorial director of the pioneering Frommer’s Guidebooks and Elizabeth Shaw, editor of Family Fun Magazine. Podcasts and online ratings by experts vs. consumers have seen huge growth. Millennials love the outdoors and adventure says Polly Mulvaney of KOA. Among the 1.2 million new campers in the past year, 44 percent are Millennials who reflect the increasing diversity of this age group, and prefer KOA’s custom cabins – as long as there’s WiFi — as a favorite lodging option. Millennial family travelers rely on smartphones and 78 percent have booked a travel service with an app in the past year notes Jeremy Crider, manager, public relations for Trivago.com, the giant hotel metasearch engine. The TMS brand is a division of J. Vero & Associates (JVA), a conference production & management firm based in New Jersey. TMS Family Travel produces Summits & Conferences that bring you the latest in family travel trends, techniques, and technology. TMS Summits feature top family travel media and PR experts from around the country to participate in a three-day Think-Tank program. JVA recently launched HUB, an integrated communication agency positioned to enhance the relationships between travel brands and the travel media industry. Family Travel Consulting is the collaboration of Eileen Ogintz of Taking the Kids, the nationally syndicated travel column with millions of readers; and Kyle McCarthy of Family Travel Forum, the vacation planning resource that’s The Wall Street Journal’s “Best for Grandparents” and a Forbes “Favorite.” FTC provides strategy, marketing, digital and social know-how to travel and family products, and co-hosts the TMS Family Travel Conferences and Summits for media and marketers reaching the family vacation audience.